As the summer temps are starting to soar above 90F, going anywhere the air conditioning can reach you sounds appealing. 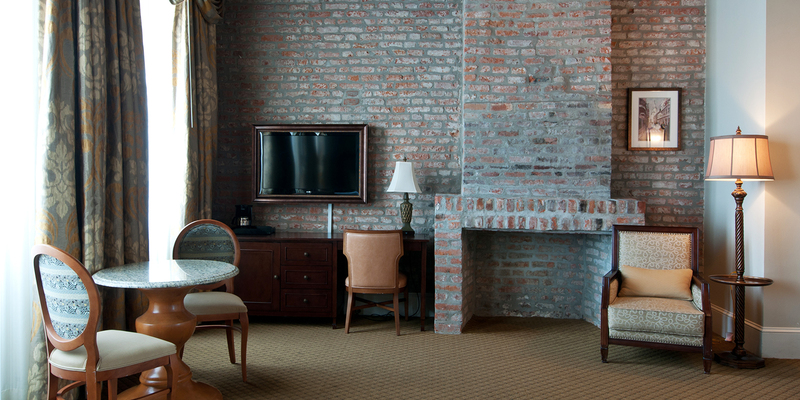 However, the Louisiana heat shouldn’t deter you from making the most of exploring the French Quarter. Take it indoors with these seven French Quarter museums near French Market Inn, all within walking distance from one another, to stay cool and learn about local history at the same time. New Orleans Pharmacy Museum is housed in a two-story historic building that was the site of the apothecary shop of Louis Joseph Dufilho, Jr., America’s first licensed pharmacist. The museum features a diverse and extensive collection dating back to the 19th century. The first floor contains surgical instruments, books, patent medicines, and perfumes and cosmetics, among other artifacts. The second floor showcases the pharmacist’s quarters including a physician’s study and sick room, plus a collection of spectacles and locally excavated bottles. There’s also a lovely courtyard. Guided tours are available Tuesday through Friday at 1 p.m. ($5). 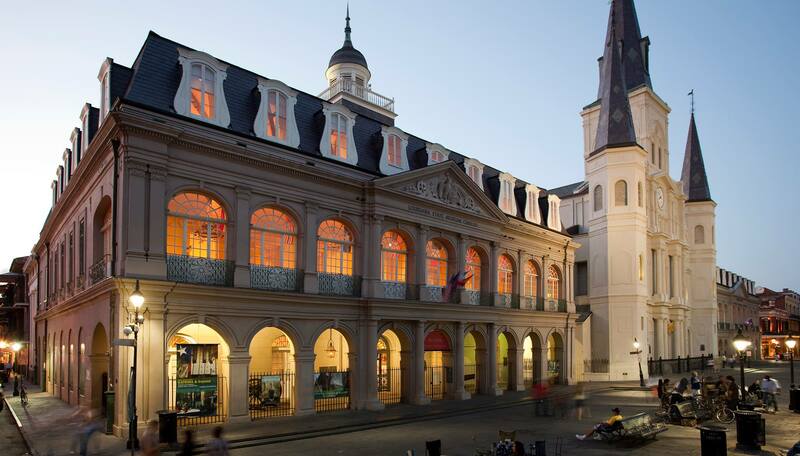 Both the Cabildo and the Presbytere, which flank the St. Louis Cathedral, are run by the Louisiana State Museum. The Cabildo replaced the building claimed by fire there in 1794, and served both as the seat of government during Spanish colonial rule and as the site of the signing of the 1803 Louisiana Purchase. Now the building houses such precious artifacts as a painting of Marie Laveau by Frank Schneider; a self-portrait by Julien Hudson, an antebellum artist and free man of color; and a rare Napoleon’s death mask ($6 admission). Built in 1791 in a style to match the Cabildo, the Presbytere served as a courthouse in the late 19th century and now contains two permanent exhibits. The dazzling “Mardi Gras: It’s Carnival Time in Louisiana” tells the story of Carnival traditions in Louisiana, including Cajun Courir de Mardi Gras, Zulu coconut throws, Rex ball costumes, and much more. The “Living with Hurricanes: Katrina and Beyond” exhibit documents the natural disaster, its aftermath, and the ongoing recovery with interactive displays and artifacts ($6). The Germaine Cazenave Wells Mardi Gras Museum is named after the daughter of Count Arnaud (local and honorary title only), who was the reigning Mardi Gras Queen of more than 22 balls between 1937 and 1968. The museum is located inside Arnaud’s Restaurant and is free to the public during business hours. Since 1983, this unique museum showcases 13 of Mrs. Wells’ Mardi Gras queen costumes, plus the family Carnival costumes dating back to 1940s, including four king costumes of her father’s. The collection also includes dozens of vintage photographs, Mardi Gras masks and related Carnival memorabilia such as party invites and favors. Built in 1835, the Old U.S. Mint uniquely served as both a U.S. and a Confederate Mint. The building is now a museum (free to the public) and research facility. It also serves as a site for music festivals performances. The permanent collection showcases coins and stamping presses. Upstairs, you’ll find the “New Orleans Jazz” exhibit featuring priceless pieces like Louis Armstrong’s first cornet and Fats Domino’s Steinway grand piano, plus historic recordings and rare film footage. The Historic New Orleans Collection (THNOC) is a museum, public research center and publishing house, spread over two campuses in 10 historic buildings in the French Quarter. It’s free to the public (except for the guided tours). The Royal Street campus (533 Royal St.) houses the main museum with a permanent exhibit on state history plus rotating exhibits on history and art. The two current exhibits, featuring jazz posters and the history of Storyville, run through December. The Chartres Street campus (400 and 410 Chartres St.) houses art galleries and the Williams Research Center, which holds thousands of original documents, manuscripts, photographs, and other artifacts, as well as over 35,000 library items. The THNOC also offers docent-led ($5) and free self-guided tours of historic buildings and courtyards at several locations in the French Quarter. The free Irish Cultural Museum explores the rich history of the city’s Irish residents dating back to the 1700s. The collection includes maps, photographs, genealogy resources, a documentary, and interactive kiosks. The historic building features a balcony and a courtyard. On the premises is also a coffee and whiskey bar, St. Patrick’s Coffee House.